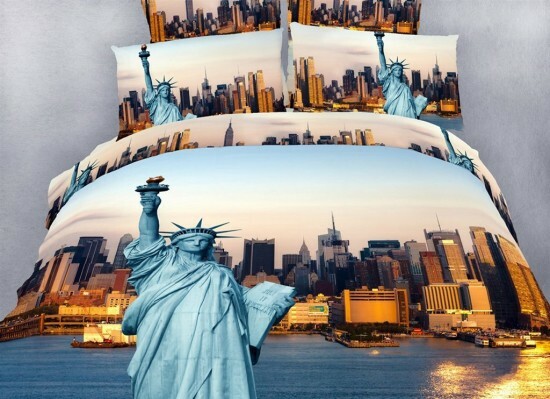 Awesome New York Themed Bedding Sets! Do you absolutely LOVE New York? 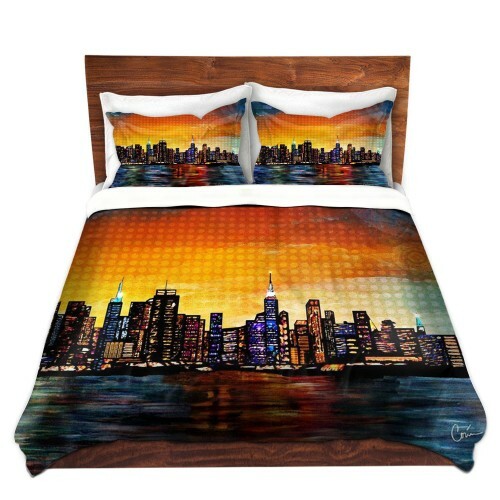 Then I’m sure you are also going to love these awesome New York themed bedding sets for sale on this page! *Is there anything more beautiful than New York city at night? How about bringing one of the best views of New York city at night right to your bedroom? This is my favorite New York theme duvet cover set! I love that it includes the gorgeous New York pillow cases as well! Here are my other favorites! The Most Beautiful Statue of Liberty NYC Themed Bedding Set for Sale! Did I just die and went to New York? How absolutely stunning is this Statue of Liberty themed bedding set? It’s a gorgeous orange New York city skyline soft brushed twill duvet cover for sale! You will be sleeping on a canvas! Another cool and beautiful brushed twill New York skyline at sunset duvet cover for sale! (This one also does not come with the shams. You can also use this duvet cover as a throw blanket as well! 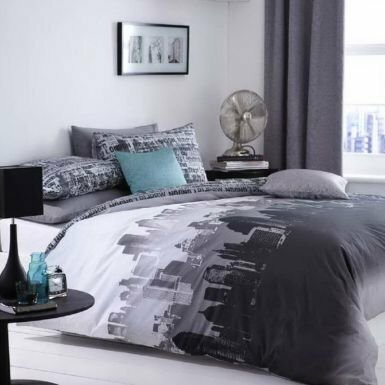 This is an affordable NY city skyline black, white and grey duvet cover set that includes the two pillow cases. Some buyers said that even though this is a king size duvet, it fitted a queen size comforter better. Gorgeous and Fun NEW YORK JETS Mickey Mouse Comforter Set for Boys! NY Yankees 5 Piece Bedding Set! Got a teen boy who absolutely loves the Yankees? Then this 5-piece gorgeous New York Yankees comforter set might be the one for his bedroom! Besides the comforter it also comes with the flat sheets and the pillow cases! *To make it look just like this one in the picture you can also get the cool New York Yankees Window Valance and Drapes and also the cool Yankees toss pillow ! 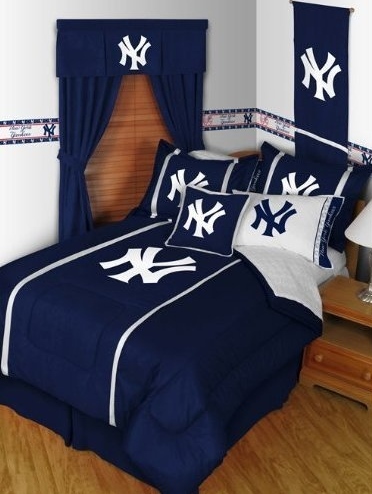 Another ultra-cool New York baseball themed bedding set for teen boys! This one is a king size Mets comforter set that comes with two pillow cases! 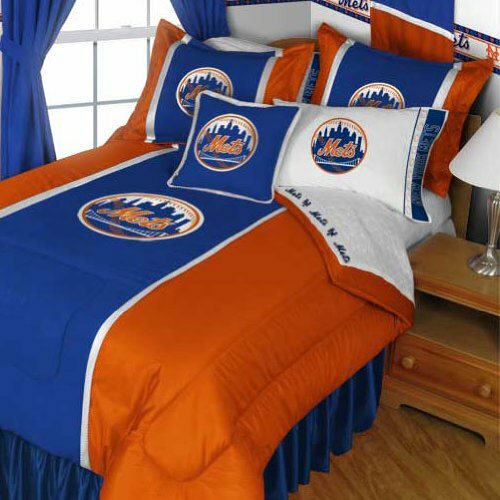 Awesome bedding gift idea for any Mets fans! 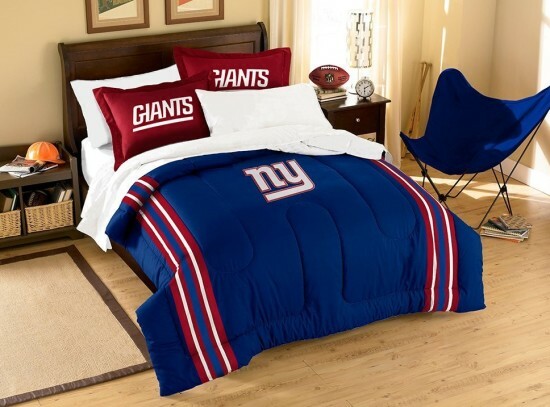 Very Nice NEW YORK GIANTS NFL EMBROIDERED COMFORTER Set! 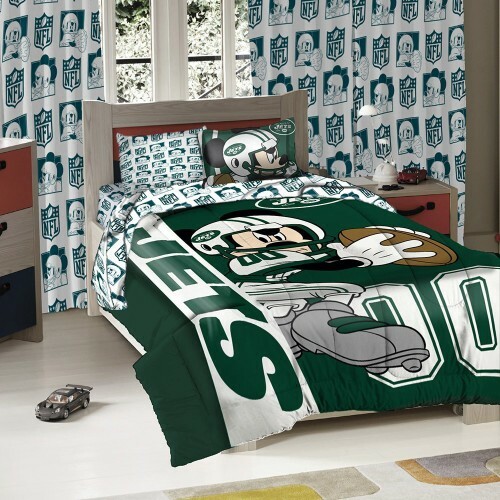 And last, but not least, a very nice NY Giants comforter set for teen boys! Besides the gorgeous comforter it also includes the two pillow shams! *More awesome Teen Boy Comforter Sets!